We’ve already mentioned a few ways that having a great live video of a song, or a whole concert, is a fantastic tool for an artist, but let us not forget that live videos are also great products for you to sell. Packaging a whole concert onto a DVD or to be downloaded is a gimmie, but there are new methods to monetizing these videos that have been proven successful by the likes of Jack White and Trent Reznor. On their websites, Reznor and White each have great content of all ilk for anyone to see, but what these guys also do is reward their fans with exclusive content that only the die-hards who are willing to pay for it can see. Reznor made history in the early 2000’s with Nine Inch Nails’ album packaging, where the more you pay per package the more exclusive content you get. White has joined the same ranks with The Third Man Vault, where you can pay for a 3-month subscription that makes exclusive content and products available for Vault Members. A solo artist or band should look at what these rock n’ roll legends have done with their content to generate hype and reward those fans who care the most. These of course aren’t the only means of rewarding, or giving fans incentives, to buy your music. There is a new kid on the block, that The Record Shop and many of the artists we have worked with use to help spread their music and get fans involved in the process. 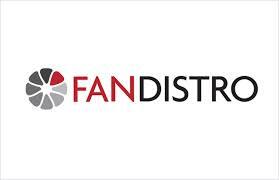 Have you heard of FanDistro? FanDistro is a fun, new platform to get your music into the hands and social networks of your fans. After setting up an account, you can use FanDistro to create gift programs that give your fans and listeners incentives to Share and purchase your music. For example, if a fan gets X-amount of people to Share your song then that fan gets rewarded with that awesome live music video (which sounds amazing thanks to multi-tracking, right ;-)), band wallpapers, exclusive tracks, a signed poster, t-shirts, or whatever incentives you want to give people. FanDistro is one of the best, and easily the most fun, ways of engaging and interacting with the people that make doing what it is you do worthwhile. Your fans want to be a part of your success, so let them! Thanks for spending some time with us in The Record Shop! Be sure to keep up with our blog, and HEY! don’t be a stranger. 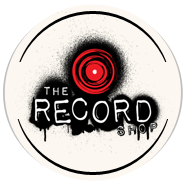 Follow and chat with us on Twitter @therecordshop for daily updates from Gio & The Henchmen inside our beautiful Nashville Recording Studios! We’ll see you next time! 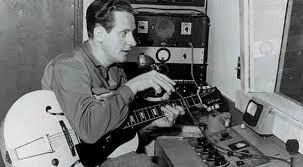 Barry Rudolph reviews Ohm Force's "Ohmicide"
What is the best recording program?